(a) Scarcity refers to the condition the underlying resources are limited but those required to fulfil the demands of the society and underlying individuals are potentially higher. This leads to a scarcity of resources which can be used for economic production. Since, the resources are limited and all the needs and wants cannot be satisfied, hence choices need to be made with regards to which products development or services need to be produced and in what quantities. Opportunity cost comes into play since choices need to be made and refers to the payoff associated with the next best alternative available for use of given resources. (b) The various differences are highlighted as follows. 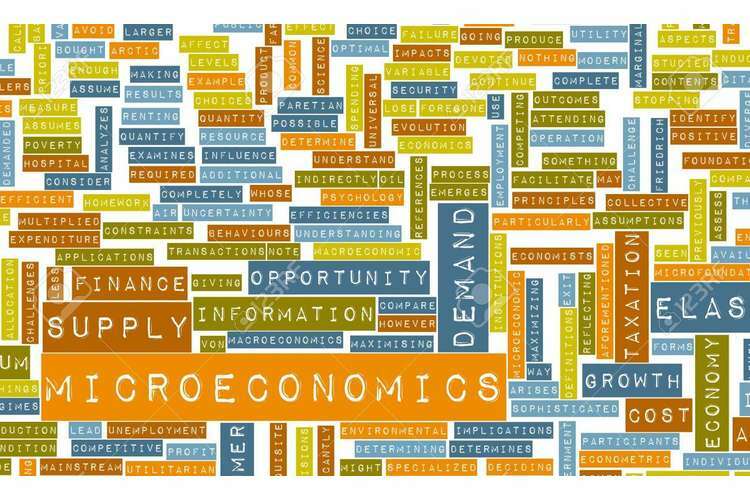 The subject matter of microeconomics is limited to a single consumer or firm unlike macroeconomics which tends to consider the whole industry or economy. The business application of microeconomics is primarily for internal issues related to a firm while macroeconomics is applied to understand the external environment and external issues. The focus of microeconomics in on an industry with regards to the economic decisions made by firms. This is in contract with macroeconomics which tends to focus on the economy as a whole and consider economic indicators. (c) The economic way of thinking involves the following aspects. 1) Owing to limited resources, there is a trade off when choices are made. 2) Choices should be made rationally i.e. by comparing the underlying costs and benefits. 3) Benefits refers to the underlying utility derived and also can be measured by the maximum price that consumer is willing to pay. 4) There are opportunity costs involved since there are alternative uses of the resources possible. 5) Margin refers to the difference between benefits and costs. 6) Incentives need to be considered which tend to drive self-interest and influence business economic decisions made. a) The price at which the demand and supply tend to assume the same value leads to equilibrium creation. It is apparent based on the given data that at RM 9 price, there is equal demand and supply. b) Owing to rice demand decreasing by 7 tonnes for every price, the altered schedule of demand and supply is exhibited as follows. Clearly, there has been a decline in the revenue from the original equilibrium revenue of RM 180.
a) Price controls are imposed during festivities as there is increased demand of certain products and services whose price can increase owing to lower supply or hoarding. However, considering that the consumption of products are services are to be done, the same may be done at higher prices thereby causing loss to the consumer and high profits to the hoarders. As a result, the Malaysian government imposes price controls thereby ensuring that certain goods cannot be sold at a price higher than a pre-defined price. This is done in order to keep the prices of the essential items required during festivities in check. b) The price controls do not work as enforceability is a key issue. Also, when there is lack of supply in the market, then black marketing of these goods is quite active where the prices are significantly higher. In order to ensure price control, the government needs to take the following measures. Check on the hoarding of the goods through adequate enforcement with the cooperation of local people. Ensuring that the supply is ramped up as the expected demand during festivities can be predicted before hand. Ensure that the stocks cannot be purchased in bulk by a single buyer therefore leading to high market power and harm to consumers. Ensuring that supply chain constraints do not exist and essential goods are available with many suppliers. b) From the Infocafe elasticity sign, it is apparent that the inverse law of demand holds for this product. Also, considering the inelastic demand for Indocafe, it does not make sense to bring down the price. This is because the corresponding increase in quantity demanded in percentage terms would be lesser and hence an adverse effect on the revenue would be felt. Based on the given data, it is apparent that when the Nescafe price increases to RM 3 from RM2, then the Indocafe supply and demand tends to decrease to 150 from 200 initially. A negative value of cross elasticity would indicate that the given products are complements and not substitutes.